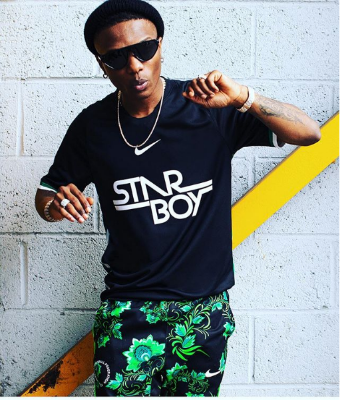 Nigerian Afro pop star, Ayodeji Balogun a.k.a Wizkid is on top of the world as his new creation jersey, designed by athletic apparel giant `Nike’ sold out 10 minutes after launch. The `Soco’ crooner had announced and shared on his instagram handle @Wizkidayo that his Star Boy wears, a collaboration with Nike was coming out. After a much-anticipated wait, the `Star Boy’ jersey, which was released on Monday at selected Nike stores sold out in 10 minutes.